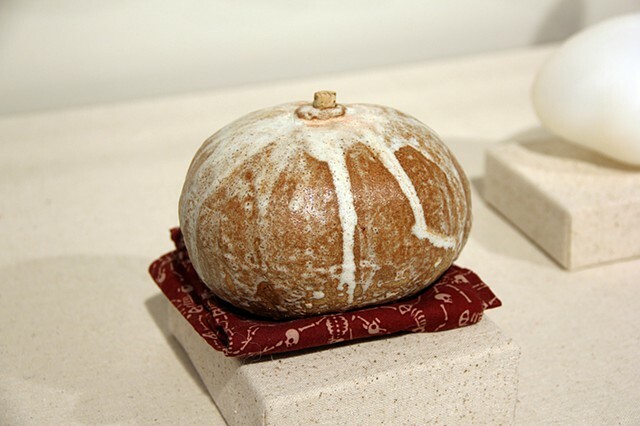 This ceramic squash-form is meant to be cradled with both hands. With the drinker’s mouth around the top, they may partake in the elixir. Tagay is a form of social drinking where one receptacle is shared by an intimate group- the object is passed around in a circle. The communal exchange strengthens bonds and deepens relationships.